Want to Knock-Off Those Extra Pounds? Try Ultrasound Treatment! Weight gain and obesity are becoming a growing concern around the world. It’s no surprise that people always keep asking questions like how to get rid of excess fat and what are the best techniques to burn fat quickly. Excessive weight gain not only makes you look unattractive, but also puts you at a higher risk of suffering from various ailments and health disorders. But don’t worry, effective procedures like ultrasound weight loss are here to help. Weight gain is mainly caused due to unhealthy eating habits and lack of exercise or physical activity. An increased calorie intake and the lack of exercise cause fat to accumulate within the body. Over time, the accumulation of fat results in obesity. Sometimes genetics and depression can also be the cause for this. If you want to stay healthy and look good at the same time, reducing excess weight is the need of the hour. For this there are several effective treatment options available in the market. These include slimming pills, liposuction, Lipo-dissolve and so on. Amongst the various options available, ultrasound weight loss is a new and innovative treatment that is soon becoming one of the most sought after procedures. The procedure that uses ultrasound is called Liposonix. Liposonix is a treatment that uses ultrasound waves in order to permanently get rid of the fat cells in the problem areas. Invasive fat reduction treatments such as liposuction usually carry certain surgical risks and significant post-treatment recovery time. Unlike these surgical fat reduction procedures, Liposonix is a non-surgical procedure that is very safe and effective. It gets rid of fat cells without surgery and with minimal side effects and downtime. Patients can resume routine activities almost immediately after the procedure. People have been trying to selectively get rid of fat from problem areas, using exercise, injections, and various other techniques. Until now, the only way to get rid of excess fat from a selective area was with liposuction. However, with the new ultrasound weigh loss treatment with Liposonix, this is now much safer, simpler and more effective. Generally, a Liposonix procedure for the abdomen and flanks (love handles) is completed in about an hour. This can vary depending upon the area of treatment as well as your specific needs. Although the results can vary, clinical studies state that the procedure helps reduce the waistline by about one pant or dress size (about 1 inch). 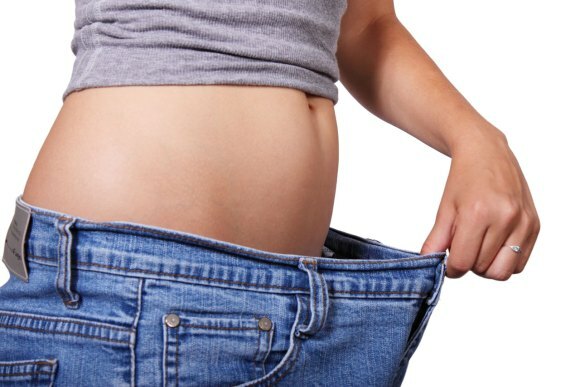 The Liposonix procedure has 10 years of research and testing behind it. It also has a well-defined safety record both during and after the procedure, along with complete patient satisfaction. Aesthetic results have been very good for people who maintain a healthy lifestyle even after the procedure. The best way to keep the fat off is to follow a healthy diet plan and fitness regime. A daily workout session combined with healthy food choices will surely prove beneficial for maintaining healthy weight and overall health. In the battle to look good, there’s nothing more frustrating than stubborn inches of fat you’re trying to shed, particularly around your waistline. The fantastic body contouring ability of ultrasound weight loss using the Liposonix system targets and eliminates the fat around your waist. It helps to flatten the stomach and also gets rid of those dreaded love handles, thereby providing a noticeably slim waistline. Treatments > Want to Knock-Off Those Extra Pounds? Try Ultrasound Treatment!